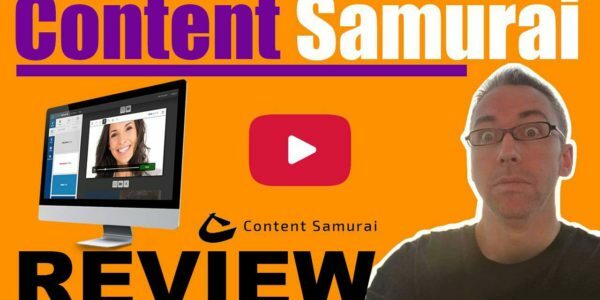 Content Samurai Review – Worth it or Overhyped? 1.1 What Exactly is Content Samurai? 2 How Can you use Content Samurai? 4.1 Who is Content Samurai Really For? Video content consumption is exploding. This is unlikely to change at anytime soon. Successful marketers need to take advantage of this, and incorporate video into their marketing strategy, or risk being left behind. But that in itself poses problems. Many people are afraid to appear on camera. If you are able to create video content really easily in around 15 – 20 mins per video, it will give you the ability to get your message in front of massive audiences. This will lead to exposure, leads and sales, if done right. But how can you create simple videos quickly if you have no tech experience? Camtasia is great but expensive. AdobePremiere Pro and Vegas Studio are incredibly powerful but have a very high learning curve. Other softwares are fly by night apps that do not get updated and offer limited to no support. Not to mention the bugs involved. Ain’t no-one got the time and patience for that! 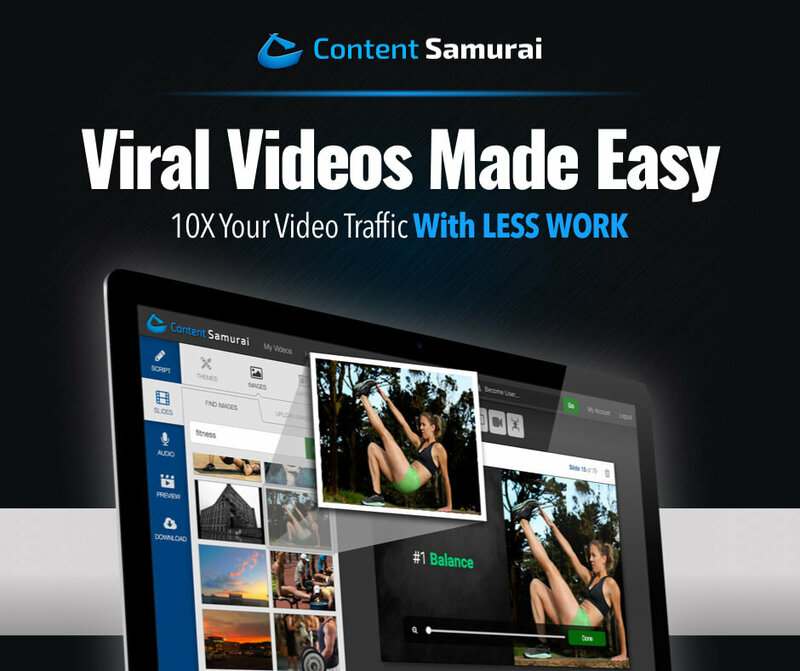 If you are looking for a video content creator that allows to to quickly and simply make videos on any topic, without having to appear on camera, then this content samurai review is for you. 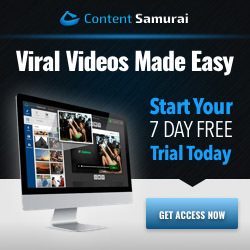 In short, Content Samurai is an online video software that helps you create quick, easy and professional-looking videos without the need for any technical expertise. You do not need to appear on camera which makes this very attractive. Content Samurai has been continuously updated since 2015, so you can rest assured that they are dedicated and really care about their customers. There are many other softwares that you can use to create videos but they often stop getting updated and, in certain cases, cease to work. How Can you use Content Samurai? Once you log in you will be greeted with a video that autoplays (that can get a bit annoying after a while but you can pause it). Then you click the green button as shown below. 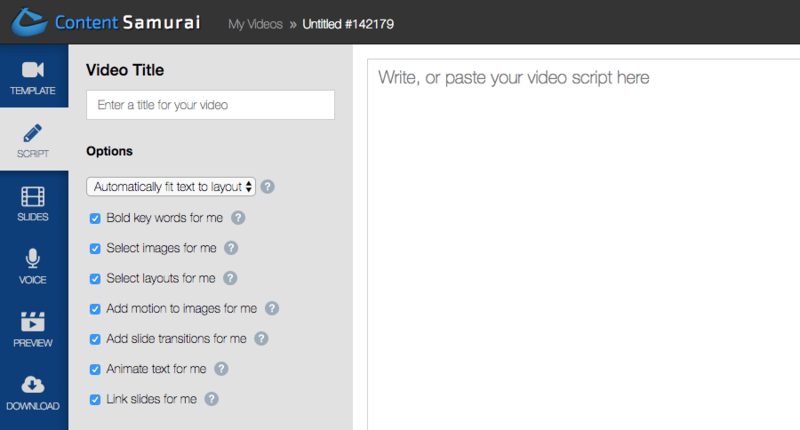 From here, you click the ‘create a new video’ button. You are then asked to choose your template. There is a lot to choose from so play around with them and see what one suits you best. On the screen that comes up next, you simply past your script. I advise you to leave a gap between the sentences so that there is not too much text on each screen. You can edit this later if need be. 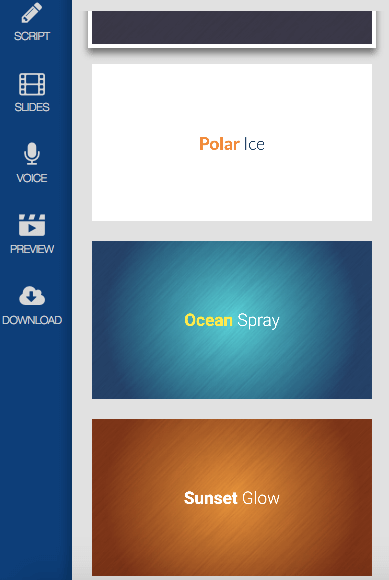 Once you are satisfied, you can edit the slides and choose the images that you would like to use. These images are all free and royalty free so no need to worry. Once you are done, you can then go to the next screen. From here you get the choice to choose your audio option. You can have music only, or upload your own pre-recorded voice track (MP3 or.WAV file recommended). I do not advocate using the “record your own voice” track option as their system is not the best for this. From the next page, you can choose which background music you would like to use. My personal choice is to set the volume at 20% and then use my own voice track. Finally, you can, if you upload your own voice track, synch the timing manually. This is what I do, but once you become accustomed to Content Samurai, you can choose what works best for you. One of the sticking points for those considering Content Samurai is the pricing. It is normally on sale for $97 per month and that can seem expensive to most. I guess it depends on how much you use it and if it helps you grow your business. 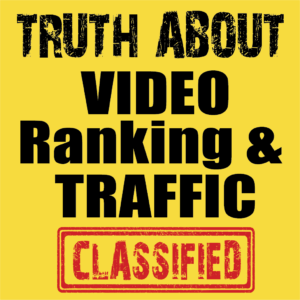 Video, done right, should make you way more than $97 per month. But when you are new, that can seem a big deal. a) Take a 7-day Free Trial. See how easy it is (make sure you actually use it over the 7 days). If you dislike it, simply cancel the trail. Nothing lost. b) Get it at a massive discount. If you know where to look, you can get a monthly discount. While this offer comes and goes, at the time of writing this content samurai review, you can get the discount by clicking here. Ok, so now let’s look at how simple it is to use. Enjoy this 8-minute review video. Who is Content Samurai Really For? If you have any type of business or presence online, Content Samurai can help you in a multitude of ways. Let’s say that you don’t, but you have an offline brick and mortar business then Content Samurai can help you get clients that you wouldn’t have gotten otherwise. Whatever video creation software you decide to use, you’ll need to be able to come up with ideas for video creation. Either carry a notepad or have Evernote on your phone and every time you get an idea for something you could teach your audience, jot it down. The next thing you want to do is to choose one thing from your list and pad it out by adding 5-7 bullet points underneath. This is just a rough guide, the amount is not the be all and end all. Then Copy and paste this into Content Samurai and proofread it for spelling or grammar mistakes. Add a few extras if you feel it is necessary and bingo, you have a video. Change any images to suit, and perhaps bolden, italicize or underline a few words. Square videos.. Content Samurai can do these which is great for Facebook and Instagram. Content Samurai now supports video uploads. So not just pictures with text overlay anymore. This is a huge add-on for sure. YOU have skill, value and something useful to share. Never forget that. Video is a great way for you to be able to do that. Keep everything fun, light-hearted. Do not be too serious. You can use a free online tool like audacity (works on Mac or PC) and record yourself reading your notes aloud. Be upbeat, do not sweat your accent and remember it is ok to make a mistake. People often relate more to folk who are real as opposed to perfect voiceovers. Do this each and every day for a month. Nothing is perfect, and Content Samurai is no different. 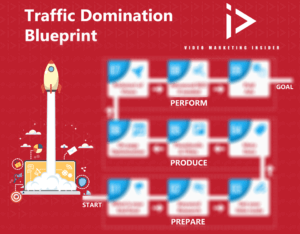 But in the grand scheme of things, it is pretty damn good and allows its users to quickly and easily create videos to use for their marketing. Video marketing done right is very powerful and negates the price issue that may be worrying you. And for those who take marketing seriously, you’ll realize how cheap this is for what you get. To get a FREE trial, then click the button below (do not believe the reviews that offer these unique discounts as they do not usually work). Occasionally Content Samurai themselves have specials but overall, it’s best to take the free trial and see for yourself how good it is. PS…Any questions you have about this Content Samurai Review, please let me know in the comments section below. 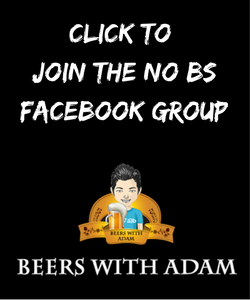 Great review Adam. I’ve been researching video software programs and get so damn confused with what I’m actually getting, and what price I’m getting it at. I don’t know why pricing is such a mystery to these products, but I do appreciate how you’ve reviewed Content Samurai. I’ve narrowed it to CS & Lumen5. Thanks Adam! Hi Bob. Many thanks. Both are good products. Lumen5 videos will come with THEIR watermark unless you get the pro version or above. The videos you can create are good, but there is more of a learning curve. Great review and I came here via the video review on YT. An extra feature on Content Samurai – They now have Text to Voice with a selection of accents – even better for the voice-shy amongst us. If you’re determined I guess there’s nothing on there that you couldn’t do with Powerpoint and time, but Content Samurai takes so much of the hunting out of the equation. Got to be on the consideration list now I know the $97 a month is there more for show that go. Thanks for dropping by. I’ll have to try the text to voice option. How does it sound? Just curious. If you cancel your subscription, what happens to your videos and video library? For example, if you downloaded your finished videos and/or uploaded to Youtube, Vimeo, Wistia, or your site, do you still own them and able to keep all your videos? And can you still edit the videos in the future? Also, I presume today you would still choose Content Samurai instead of Lumen5 Pro or PowerPoint? If you cancel your subscription, then you won’t have access to your videos. That said, each time I make one I download it to my computer. If your videos are on your PC, or uploaded somewhere like YouTube, you do own them. To edit though, you’ll need to use a different software or service if you cancelled C. Samurai. Thanks for the clarification. I will decide in the next week. I am buying this product through your link because of your excellent YouTube review and the fact that you respond to people’s questions/comments both here and on YT. Job well done! Thanks Mike. Let me know if you need any help with it. Cheers. Great review. Just one question: I can’t use paypal, so can I use my other payment methods to buy it? You should be able to use a c. card I think.